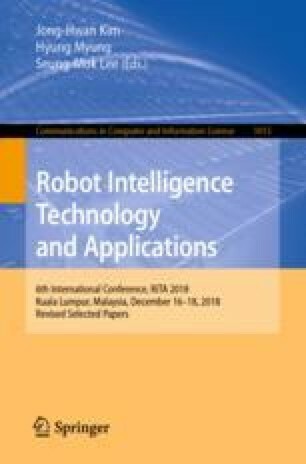 In this paper, we propose a stacked bidirectional Long Short-Term Memory (stacked Bi-LSTM) for accurate localization of a robot. Using deep learning, the proposed structure directly maps range measurements from beacons into robot position. This operation non-linearly maps the relationship not only considering the long-range dependence of sequential distance data but also using the correlation of the backward information and the forward information of the sequence of each time step by virtue of its bidirectional architecture. Our stacked bidirectional LSTM structure exhibits better estimates of robot positions than other RNN structure units on the simulated environment. In addition, experiments suggest that even if the robot position is not included in the training dataset, our method is able to predict robot positions with small errors through sequential distance data. H. Lim—This material is based upon work supported by the Ministry of Trade, Industry & Energy (MOTIE, Korea) under Industrial Technology Innovation Program. No. 10067202, ‘Development of Disaster Response Robot System for Lifesaving and Supporting Fire Fighters at Complex Disaster Environment’.